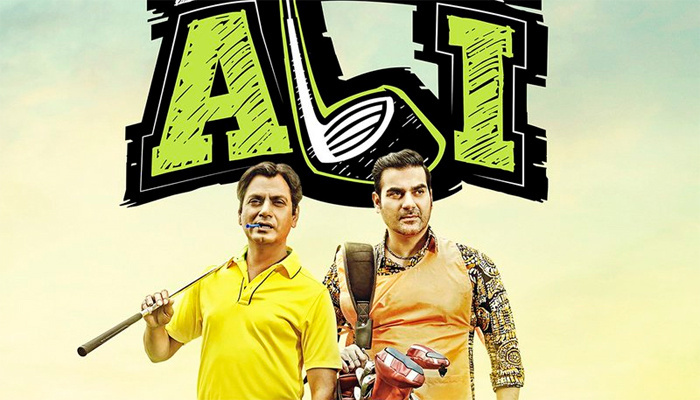 HOME / TRENDING / FREAKY ALI TRAILER: NAWAZUDDIN SIDDIQUI AT HIS HILARIOUS AND PASSIONATE BEST! He’s back and we can never get enough of him! NAWAZUDDIN SIDDIQUI. He’s known for his raw and ground breaking method acting, but who knew he’s got a completely hilarious side too! This trailer look promising and we’re sure that this film will tickle your funny bone! Funny isn’t it? Oh it is! It has Nawazuddin Siddiqui in it, so there’s no doubt that we’d be rushing to the theatres when it releases on the 9th of September. So the Freaky Ali trailer gives out a lot. A gangster by profession becomes a golfer by chance! And his passion? Cricket! Now that’s funny. Two games that are poles apart and both the games include smashing balls across the field and Ali aces one of it with ease. The game in question is golf and he stuns even the professionals! Ali is indeed freaky! Amy Jackson plays his love interest in the films and oh he looks like a passionate lover-boy! They’re chemistry is a bit uncanny, but they do make an adorable couple. And the dialogues? They are worth writing down! Nawazuddin Siddiqi’s perfect dialogue delivery and comic timing will definitely make this a paisa vasool entertainer! The film also stars Arbaaz Khan and Nikiten Dheer as his friends and Jas Arora as a rich golfer. Directed by Sohail Khan, this is the story of how a small-time wannabe gangster unexpectedly finds his true passion, and goes on to excel at it, with his head held high. The basic foundation of the film is based on passion: No matter what your passion is, be it freaky or funny, always follow your heart and all you’ll find is happiness! Let us show you some more passion!